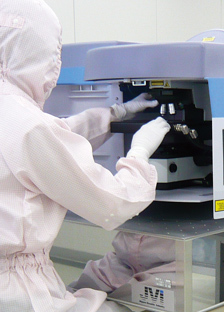 Nidec Completes Acquisition of Italy-Based Motortecnica s.r.l. 1. Outline of Motortecnica s.r.l. The Company has endeavored to strengthen its appliance, commercial and industrial business as one of its strategically important business areas. Among these businesses, the industrial solution business is a key revenue source for which Nidec ASI (formerly, Ansaldo Sistemi Industriali S.p.A) that the Company acquired in May 2012, plays a leading role. Nidec ASI’s business comprises large industrial motors, generators, low and high voltage drives, industrial system automation and service, with strength in oil & gas, metals, renewable energy, marine and general industry sectors. Through the acquisition of Motortecnica, Nidec ASI seeks to strengthen its service business and expand in the generators market. In particular, Motortecnica’s capabilities and experience in design, manufacture, repair and remanufacture of electric generators and components, together with Nidec ASI’s worldwide sales network, are expected to help enhance and expand its service business. Furthermore, Motortecnica’s technical capabilities and installed base in power generation applications will allow Nidec ASI to expand in this market and to pursue opportunities for remanufacturing and refurbishing large electric generators. 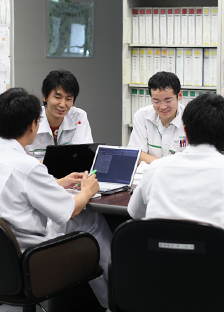 Nidec Corporation intends to make appropriate disclosure of the impact of the Transaction described herein on its consolidated financial performance for the current fiscal year and announce any changes to its financial performance forecasts in accordance with the applicable stock exchange rules of the Tokyo Stock Exchange and the New York Stock Exchange once such details are determined. This press release contains forward-looking statements regarding the intent, belief, strategy, plans or expectations of the Nidec Group or other parties. Such forward-looking statements are not guarantees of future performance or events and involve risks and uncertainties. Actual results may differ materially from those described in such forward-looking statements as a result of various factors, including, but not limited to, the risks to successfully integrating the acquired business with the Nidec Group, the anticipated benefits of the planned transaction not being realized, changes in general economic conditions, shifts in technology or user preferences for particular technologies, and changes in business and regulatory environments. The Nidec Group does not undertake any obligation to update the forward-looking statements contained herein or the reasons why actual results could differ from those projected in the forward-looking statements except as may be required by law.